Heya everyone! Hope you are all having a lovely relaxing weekend. I've so far spent my day at church this morning, I then bought a couple of magazines and a dairy milk chocolate bar and I've decided I will spend today finishing watching Gossip Girl and blogging! It's just the perfect way to end the weekend I think. 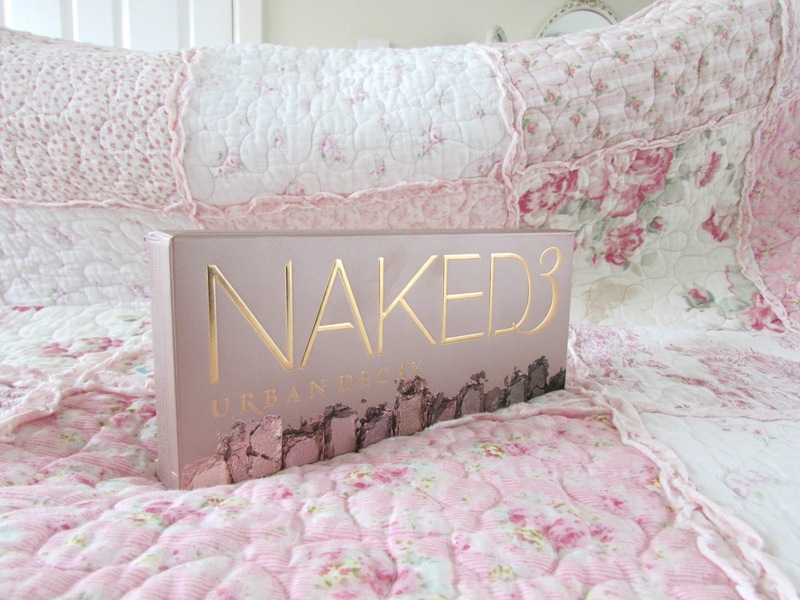 Today I thought I would tell you about one of my absolute favorite products, Urban Decay's Naked 3 Palette. These were released just before Christmas and were so popular that it was literally sold out everywhere! I just wasn't able to get my hands on it at all. I decided to wait until I had a bit more money and then bought it at the end of February and it is literally the best purchase I have ever made, make up wise. I haven't tried the first two palettes and to be honest I don't think I want too as they don't really contain the colors I would really wear. 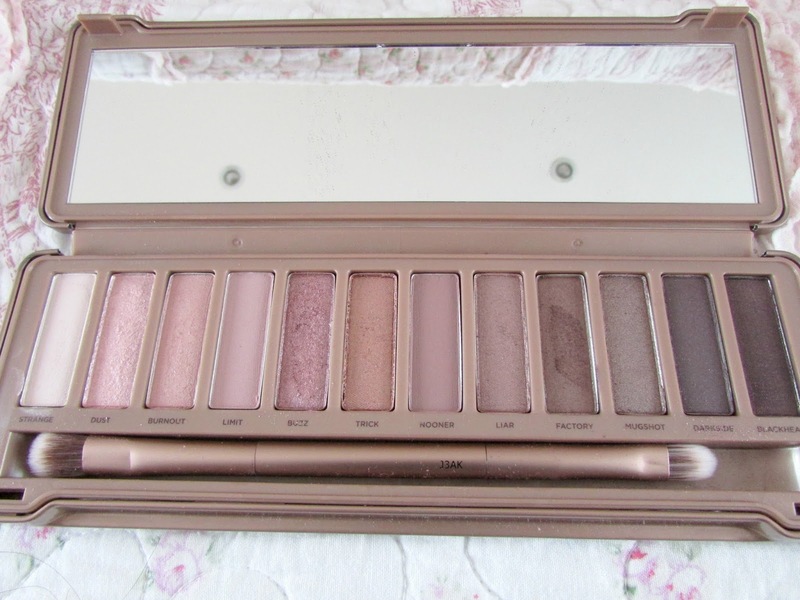 This palette however is perfect for me as I would wear literally every single shade. Keep reading to find out why I love this product. The first thing I absolutely love about the palette is the packaging. I love the fact that the exterior is a slightly coppery rose gold color as I think it really adds an element of class to the product. The gold lettering on the packaging is also very classy and makes the product look slightly more expensive than it actually is. Inside the palette there are 12 gorgeous eyeshadows varying from a range of finishes that include mattes, pearls and metallics and a range of pinky brown shades which when mixed together are perfect for everyday and evening looks. The shadows are all buttery soft, highly pigmented, easy to work with and super bendable. I know not many people will use it but the palette also contains a double sided dual fiber shadow and blending brush. Strange is the first color in the palette and is described by Urban Decay as 'Pale Neutral Pink Matte Satin'. Take special note of the 'pale pink' part as it is so pale it almost looks white at first glance. However it does have pink undertones to it. This is the only color that I never really use as I find it is way to light for my skin tone. However it will definitely make for a perfect inner corner and brow bone highlight. Dust is described as a 'Pale Metallic Pink Shimmer with Indirescent Micro-Glitter'. 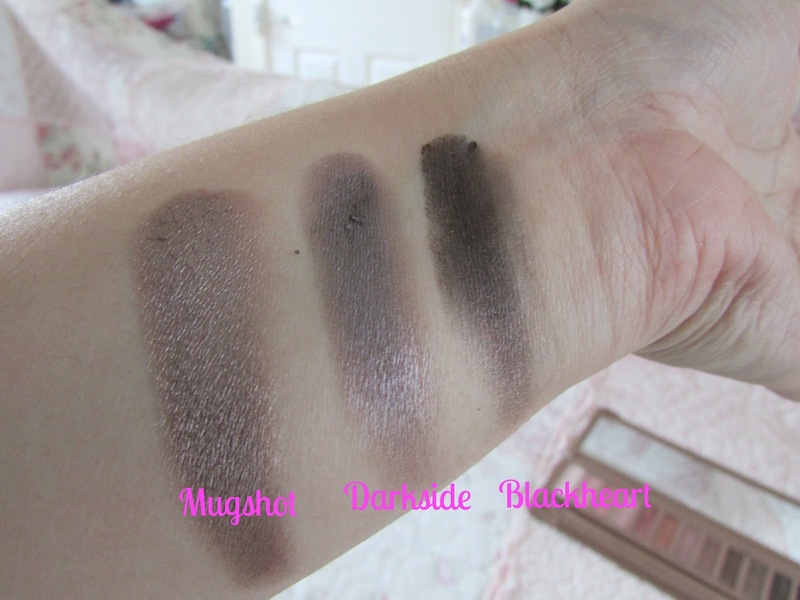 I love the color of this eyeshadow however I find it is best to dampen the brush in order to use this because it definitely lives up to it's name and is a definitely dusty making it super difficult to work with. I find that a little definitely goes a long way when applying this as there does tend be quite a lot of fall out, mainly due to the high amounts of glitter within the palette. However if you get the application process just right the color will look absolutely beautiful on the lids. It definitely needs a primer to stay in place. This is definitely the worst shadow in the palette. Burnout is described as a 'Light Pinky-Peach Satin' color. This shadow has a gorgeous pearl finish to it. The picture above doesn't do it justice but it is incredibly pigmented and super easy to work with. It looks gorgeous on its own as an everyday simple eyeshadow. 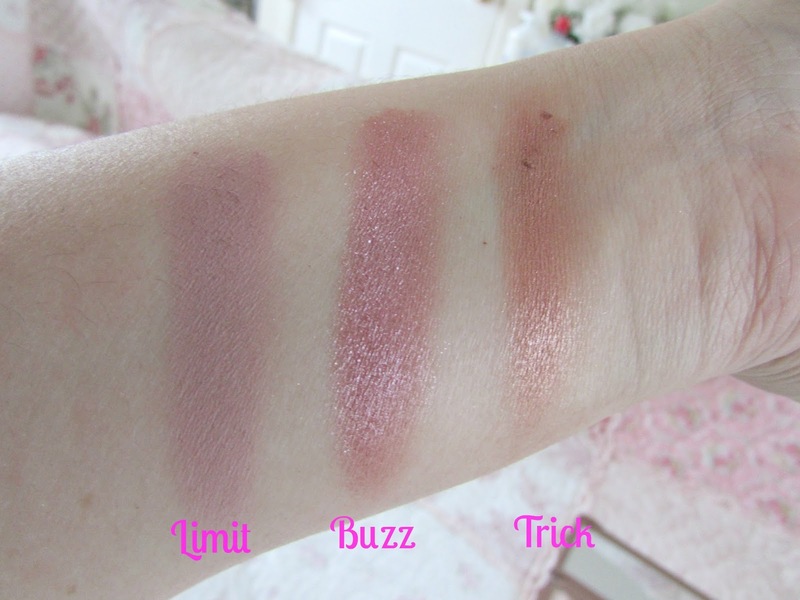 It's not powdery at all and will suit absolutely every skin tone. I reckon this is a great eyeshadow for those of you with blue/green/hazel eyes as it will make them stand out a lot more. Limit is described as a 'light dusty rose matte'. This is a matte color and is just so incredibly buttery soft. Probably the softest shadow within this palette. 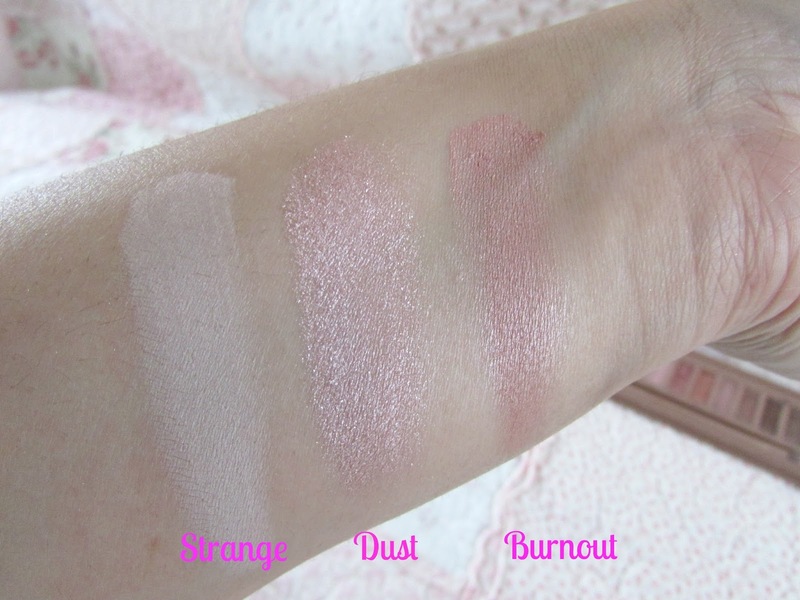 The pigmentation is incredible and it is super easy to work with. I use this shadow mainly in my crease as I think it works better there. Definitely one of my favorite shades. Buzz is described as 'Metallic Rose Shimmer with Silver Micro-Glitter. I absolutely love this shadow. I think it contains just the right amount of shimmer but I would definitely consider this more of a night time shade. I wouldn't wear it during the day. However again it is easy to work with the pigmentation is amazing. I haven't yet got much use out of this shade but when I've worn it the application is smooth and it's easy to work with. Again this can be worn on it's own. Trick is described as a 'Light Metallic Pinky-Copper Shimmer with Toner Micro Sparkle'. This is one of my favorite shades. Again I think this is a perfect night out shade but I have worn this through the day and I just absolutely love it. It's so easy to work with, looks gorgeous on it's on, great color payoff and super soft. Nooner is described simply as a 'Medium Pinky Brown Matte'. This is a gorgeous everyday shade that looks gorgeous all over the lid or in the crease. Again it is easy to work with, the lasting power is exceptionally good with this shadow I find and is a perfect color to just sweep over the lids as you will be good to go. Definitely the easiest eye shadow in the palette to wear that will suit everyone and look good no matter how you wear it. Liar is described as a 'Medium Metallic Mauve Shimmer'. Another one of my favorite shades within this palette. I love the hint of shimmer running through it and the fact it is the most golden pinky shade out of all the browns in the palette. Definitely a color that will look good throughout the day or in the evening. Factory is described as a 'Pinky Brown Satin'. If I'm totally honest I really don't see anything pinky about it. I would say its a pure brown shade which gives a beautiful frost like finish on the lids. I have only worn this twice so far but I love it and definitely need to get more use out of it. Mugshot is described as a 'Metallic Taupe Shimmer with slight pink shift' Again this has a gorgeous frost like finish to it. The color payoff of this shadow is amazing however it is definitely not my favorite color of the bunch for me. I have tried to warm to it but I'm just not keen. It's super blendable though and so easy to work with. Darkside is described as a 'Deep Mauve Taupe Satin'. This is a very dark purply brown shade that will be absolutely perfect for those of you who like a smokey eye. Again I haven't really gotten a use out of this color yet, I think I've only worn it once but it is extremely beautiful and long lasting. Blackheart is the final color in the palette and is described as a 'Smokey Black Matte with Rosy Red Micro Glitter'. This color is so incredibly beautiful. It's so much better than your standard black eyeshadow. I just love the red shimmer running through it. A perfect color for those of you who love smokey eyes. It's not a deep deep black which I really like because I find black black eyeshadows look horrible with my skin tone, but this suits it a lot better especially due to the red micro glitter. 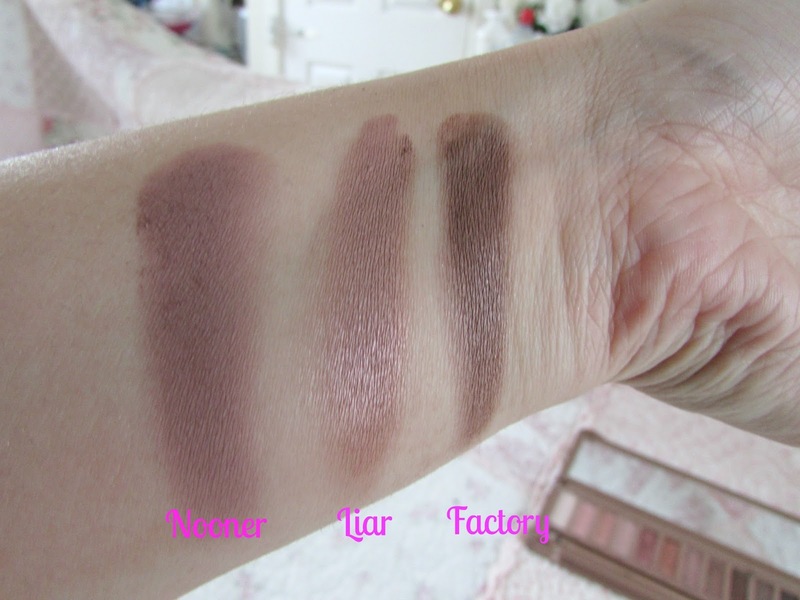 This palette also comes with four versions of their famous primer potion which I absolutely love as normally free samples that comes with products only suit a certain skin type. The four primers include the original primer to keep your shadows in place, eden which is primer to prevent shadow meltdown, sin which prevents creasing and fading of the shadows and anti aging which is pretty self explanatory. Overall I absolutely love everything about this palette. The packaging is just beautiful and sturdy, the shadows are all beautifully pigmented and easy to work with bar Dust and this is a palette that will suit practically every single skin tone, especially those of you with olive/warmer skin tones. 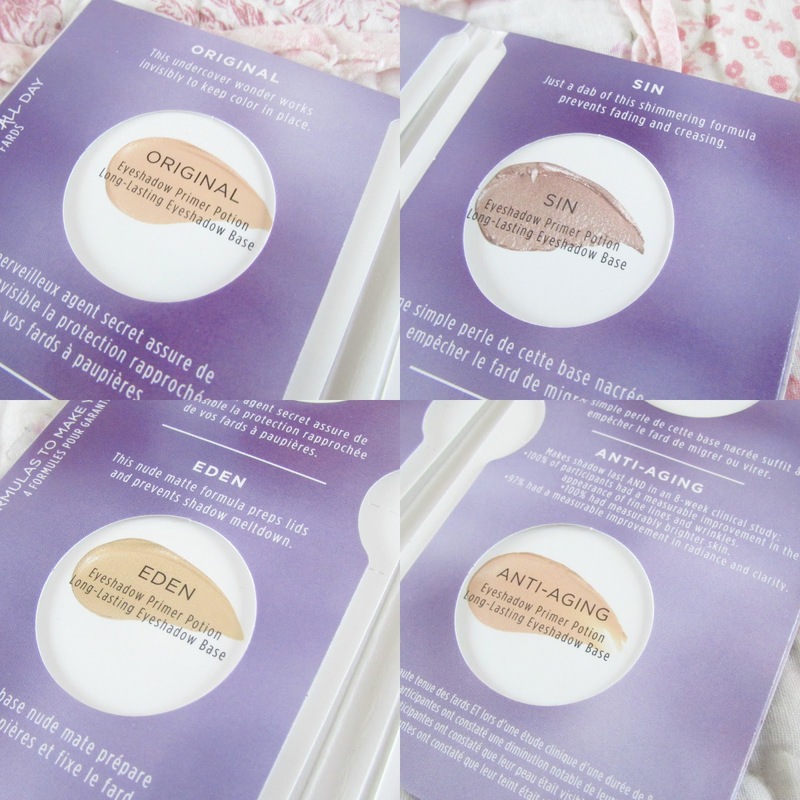 The primers are there for you to try before you purchase the real thing so you can see which one works best for you! Amazing! I couldn't recommend this palette more. This palette is priced at £37/$54 which is definitely pricey but definitely worth it! Click HERE to head on over to the Debenhams website now to purchase it. You won't regret it! What is your favorite Naked palette? 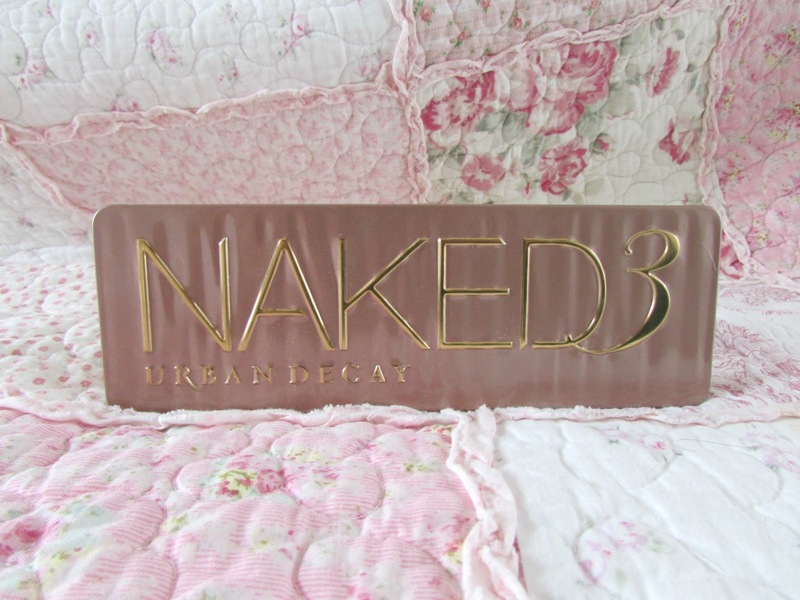 I LOVE Naked 3 so much, can't even remember life without it - how did we survive? !